Keeping your kid's room tidy is no walk in the park: a harmonious and cosy environment is a must. At the same time, however, filling your child's room with nifty, pleasant decor is also a plus. For both of these needs, the 2 Tipikids magazine racks are at your service. 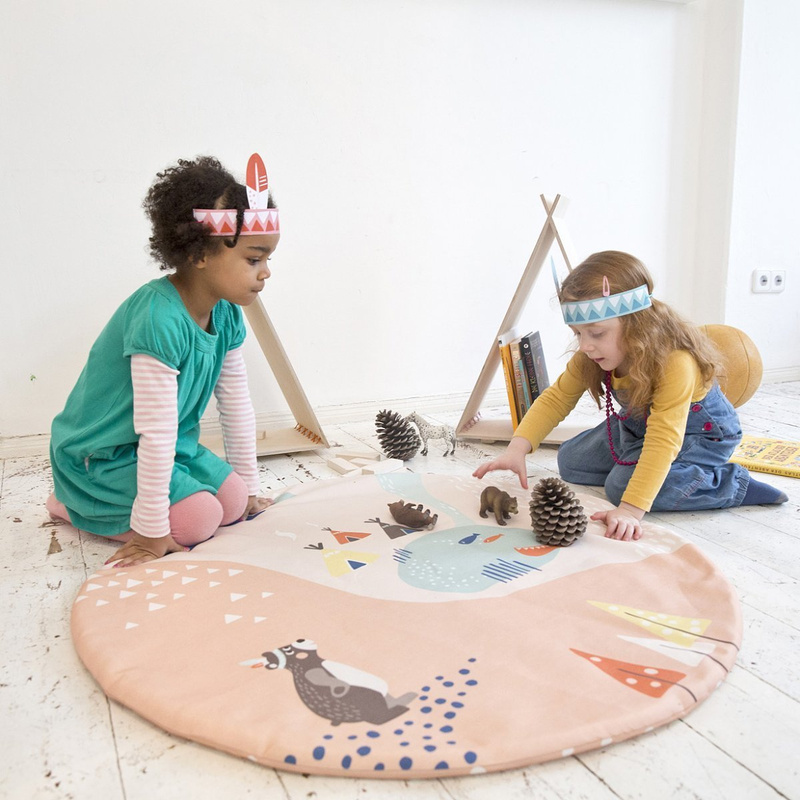 Designed by creative German brand and furnishing specialists for children Julica, the pieces are original, simple, delightful and also very practical. 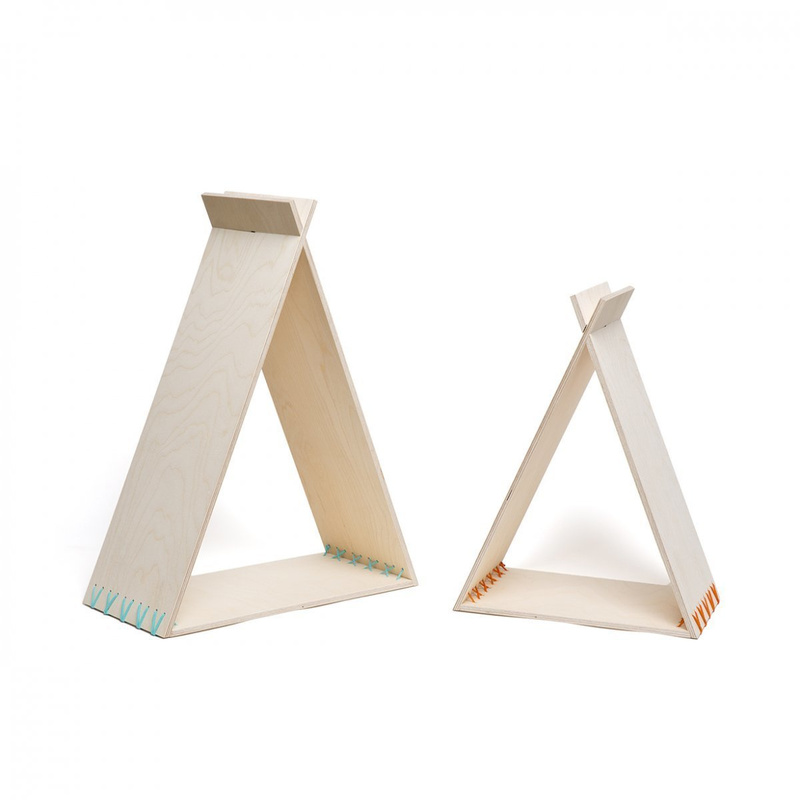 They feature a unique design stemming from their eye-catching shape that resembles tipis from Native Americans, a beloved feature for boys and girls of all ages. 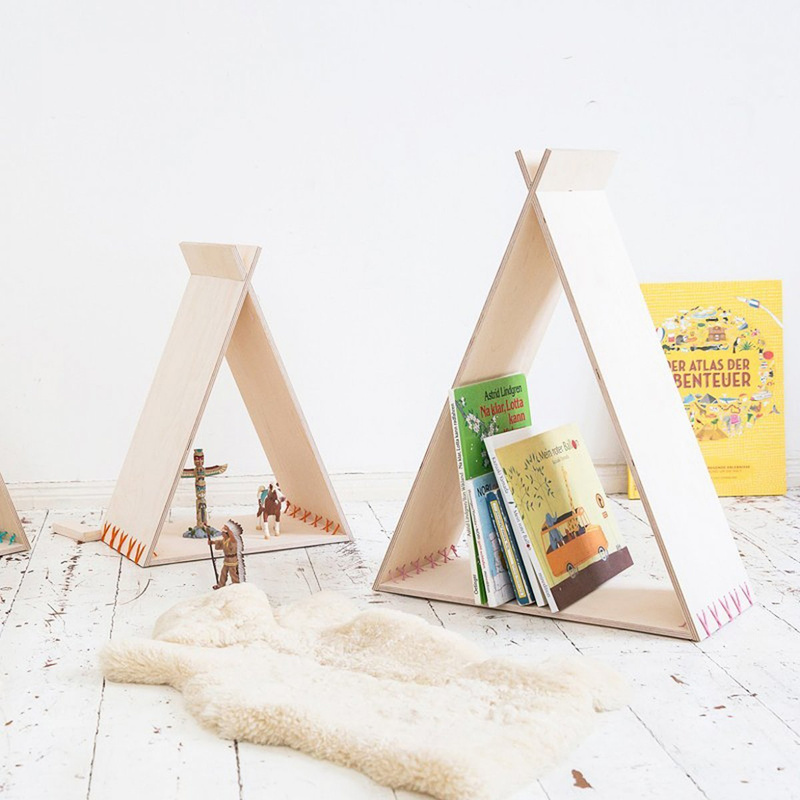 More than just a magazine rack, the 2 Tipikids also help furnish rooms whilst serving as shelves or mini book shelves. Made of natural birch wood, the piece is a sustainable, high-end product. The magazine racks are extremely robust and therefore able to withstand long, heavy usage. They're composed of 2 large shelves where you can place magazines, books, sticker albums, notebooks and any small object. 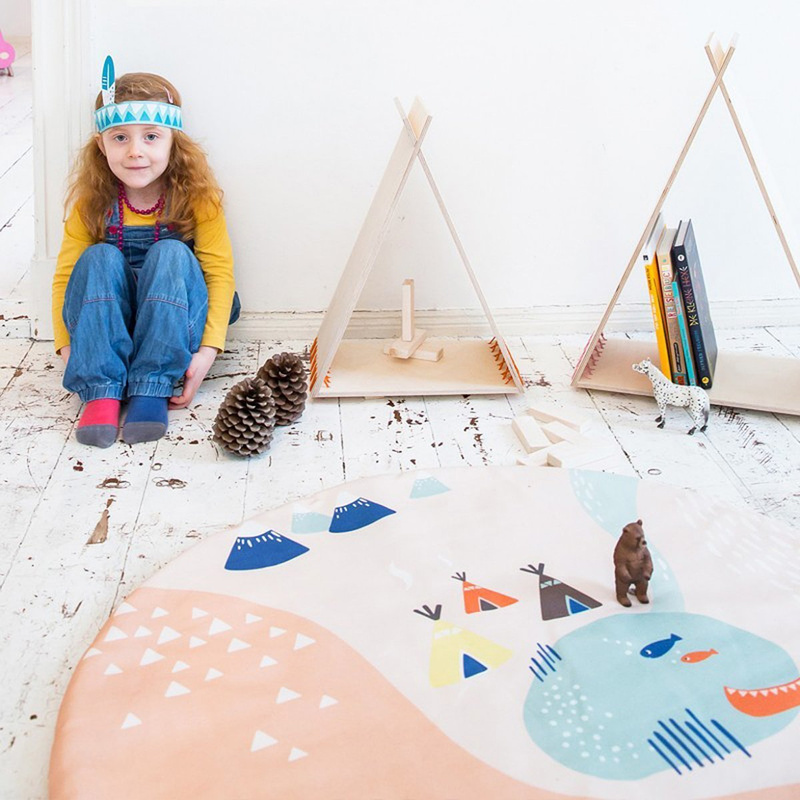 Additionally, its tipi means they can also turn into a game: when exercise books and newspapers are removed, it can actually become the ideal backdrop for fantastic stories where protagonists are fascinating Native American tribes. The 2 shelves are made up of a smaller one (H 48 cm / L 36 cm / D 22 cm) and a larger one (H 60 cm / W 46 cm / D 22 cm): the 2 different sizes allow you to keep all types of objects in order as well as to also provide a refined decorative vibe. They can be placed either in different points of the room or side by side to create a little Native American corner. Furthermore, the piece's versatility due to its matte wood finish means you can pair them with any kind of furniture. They're perfect in the nursery, ideal in the living room or even at the entrance of an apartment. The wooden surface is upholstered with a see-through protective film. 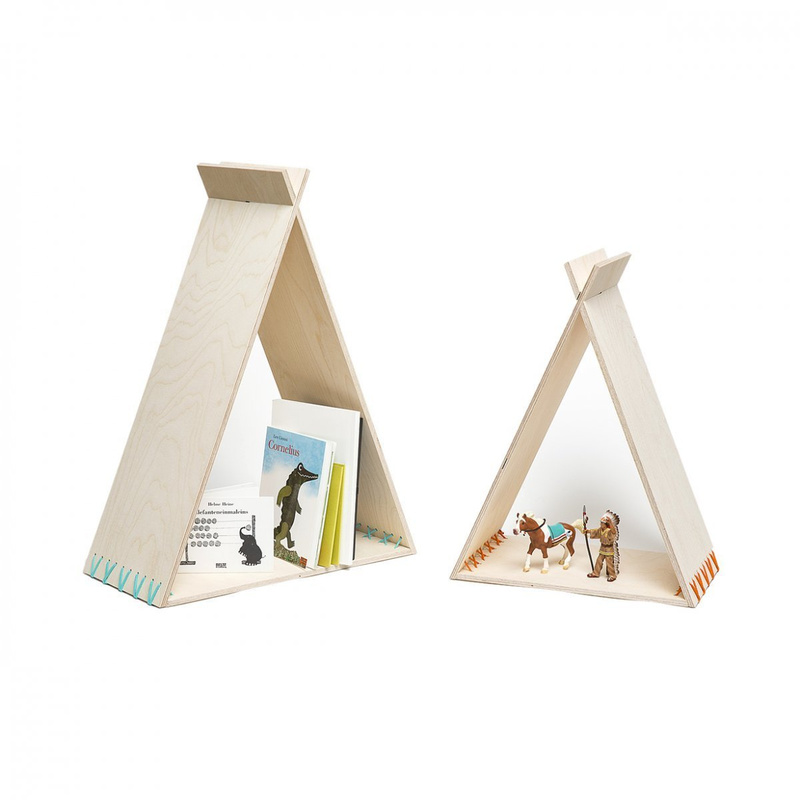 The 2 Tipikids magazine racks, aside from being practical and useful home goods, are also an exclusive gift idea for both boys and girls. Info: clean with a moist cloth.